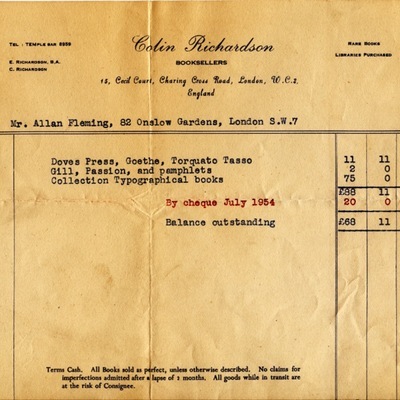 Item consists of a bill to Allan Robb Fleming from London bookseller Colin Richardson for several listed books and unlisted typographical books valuing 88 pounds. 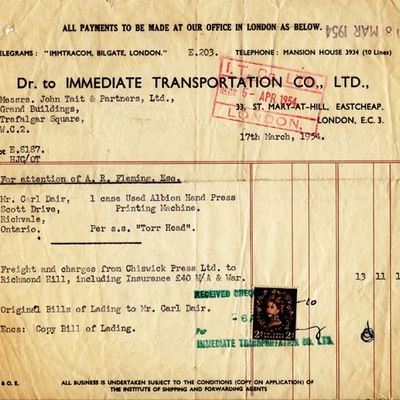 Item consists of a printed invoice for shipping an Albion Press purchased at the Chiswick Press in London by Allan Robb Fleming on behalf of Carl Dair by ship to Toronto. Item consists of a two page single sided handwritten letter from Allan Robb Fleming to his father-in-law explaining the reasons behind his move to the UK and why he wants to study typography. Item consists of a one page two sided handwritten letter from Allan Robb Fleming to his mother stating that he has found work in the UK at an advertising agency John Tait and Partners. 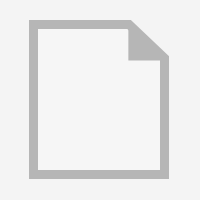 Item consists of one page two-sided portion of a job and contract solicitation letter by Allan Robb Fleming, for work in the United Kingdom. The item lists various clients Allan Fleming worked for in Canada, including Kaiser Frazer. 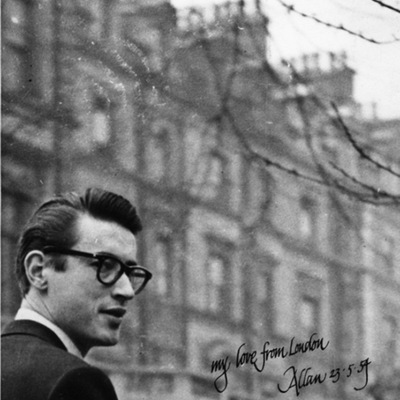 Image of Allan Robb Fleming in a suit posing in front of a building, with a hand written inscription "my love from London Allan 23-5-54".